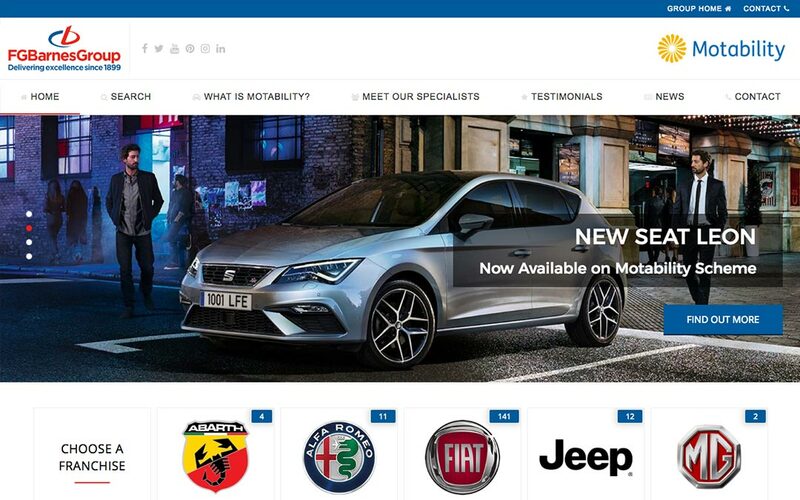 FG Barnes is one of Ireland's largest vehicle retailers. 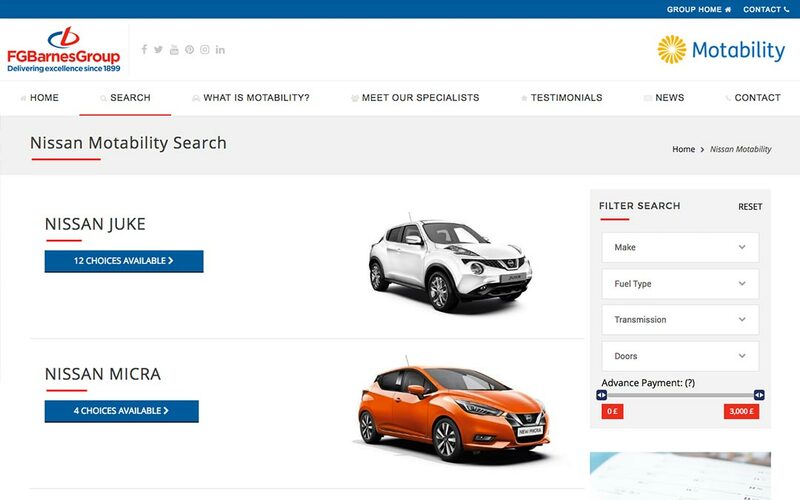 Nine of their franchises offer new cars in partnership with the Motability Scheme, a nationwide initiative that gives disabled motorists easier access to a car. 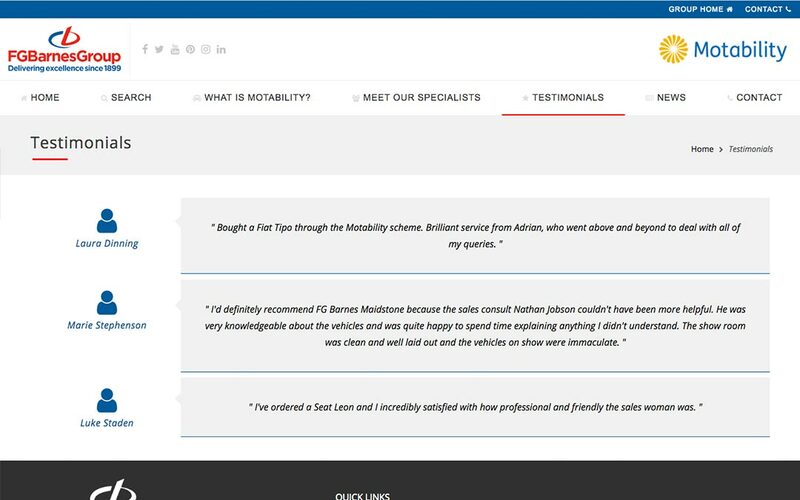 Blue Cubes were commissioned by FG Barnes to develop a dedicated website which would bring together all the information relating to their participation in the Motability scheme. 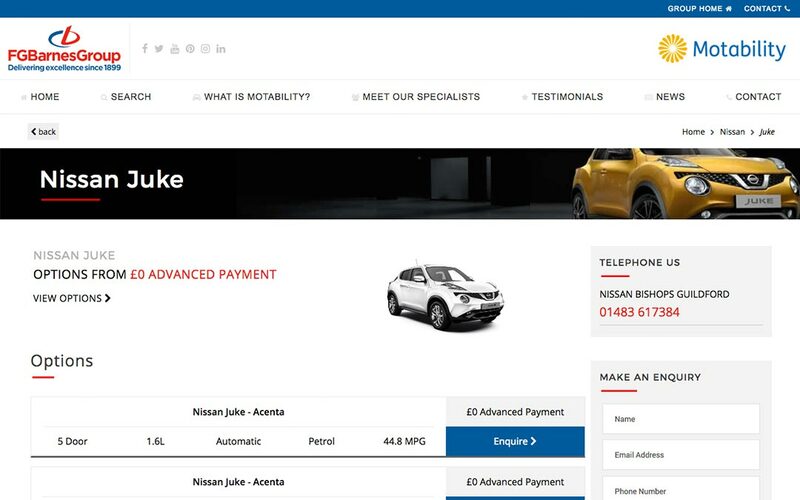 The main aim was to make details about prices and availability easily accessible – as a result visitors are never more than two clicks away from finding the model of car they want. We also incorporated a simple but effective search facility. 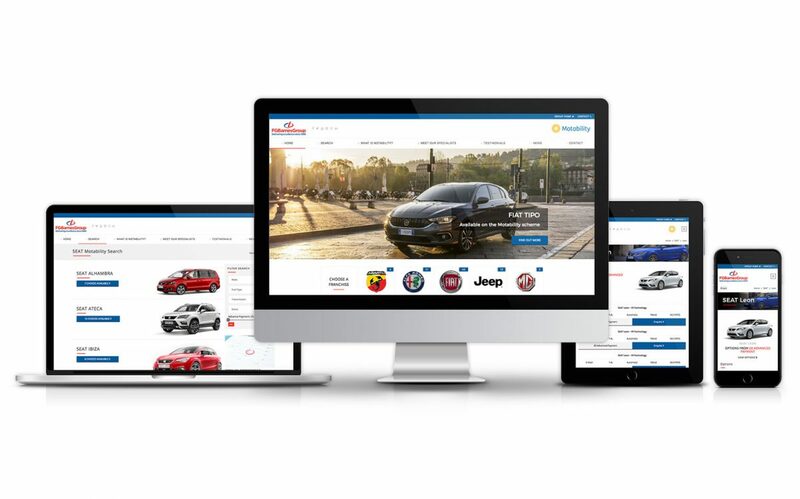 Due to the large selection of cars on offer at any one time and the need to update them regularly we developed a system that allows the vehicle listings to updated via a spreadsheet upload.